Drop forged from Carbon Steel. Duly hardened & tempered. We are offering the quality of Side Cutters. These are side and face cutter or hard to find drill bits and cutting tools from micro to metric and all other sizes. The product is also known by its Italian name as Tronchese taglio centrale. 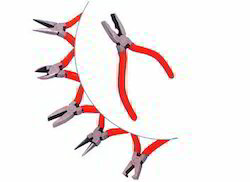 We have gained recognition as an eminent enterprise, devotedly engaged in manufacturing and exporting a broad range of Side Cutting Pliers. Side Cutters have semi flush edges for precision cutting of wires. 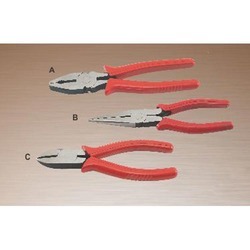 5" inches tall.These are really good quality pliers designed for heavier work and are lovely to hold and well constructed. They have double leaf springs for smooth operation. - Smooth jaws come to fine even taper.